When illness or injury occurs, the last thing you want to worry about is when you’ll pay for it. Sometimes you just need to take a break, relax, recover, and worry about the finances later. However, it can be hard not to worry when you’re not sure how billing is going to affect your bank account. Urgent Care billing can be a scary process. You may show up at an urgent care clinic with a fractured ankle. When you leave, you could have a cast, crutches, and a lingering feeling that you’ll forget to make the payment on time. 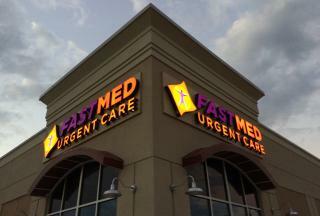 At FastMed Urgent Care, billing is made simple. We accept most major forms of insurance and provide a discount program for uninsured patients. For any out-of-pocket expenses left over, we offer a payment portal where you can conveniently make payments 24 hours a day, 7 days a week. FastMed also offers PayWell, a program that is designed to help you save time and money. With PayWell, you won’t have to worry that you’ll forget to make your payment by the due date. Once your insurance provider tells us what you owe, your bill is paid automatically. PayWell is also completely encrypted, meaning your payment information is safe with us. It protects your credit score by eliminating errors that can happen when you use a manual billing process. Gone are the days of deciphering a confusing bill, wondering what the charges are for when you open the mail. You are always told about your charges in advance, leaving you with time to contact FastMed with questions before your account is charged. To sign up for PayWell at FastMed, all you have to do is stop by FastMed, check in with one of our guest services teammates, and swipe your debit or credit card. It’s that quick and easy! Your information is then stored in a highly secure offsite location where the PayWell team manages the FastMed Urgent Care Billing.